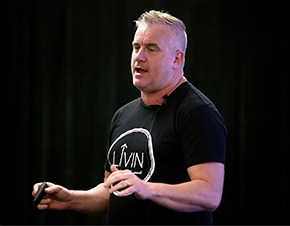 Honest and authentic storytelling is the key to engagement, according to social media expert Nick Bowditch who is set to give the keynote speech at a free event helping not for profits use compelling stories to grow awareness, raise funds, and attract the right people. Change the World, which will be held in Sydney on 9 May, aims to give not for profits an opportunity to learn from changemakers and entrepreneurs on how to marry online marketing and compelling stories and ensure their story stands out in a competitive marketplace. 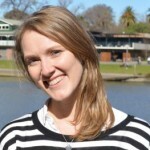 Bowditch, who is “the only person in the southern hemisphere to have worked for both Facebook and Twitter”, told Pro Bono News a lot of charities struggle with storytelling. “A lot of the time, people who work in charities have really, really great stories, and people want to support them but they struggle a little bit with the actual storytelling part of it,” Bowditch said. “So what my session aims to do is show them ways that I tell my own [story]. “So the majority of the speaking and writing that I do is about my own life with mental illness and the way that I deal with a life around depression and anxiety and PTSD which I live with. “A lot of that comes easier when you are just open and transparent and as honest as you are comfortable being. Bowditch, who released a book last year about his journey with what he calls his “mental uniqueness”, said he was a “big believer” in being open. “Sometimes people [working for not for profits] can’t tell authentic stories because they’re not telling their own stories, they’re telling the stories of their clients and there are things that people don’t want to say. But I am a big believer in being as open as you are comfortable, because then people engage better with your story,” he said. “It is funny because some of the people who came to the Perth event were telling me one-on-one, ‘here is my story’ or ‘this is the story of my foundation’, and I was like ‘oh my god, that is a fantastic story, where can I read this?’ and they were like ‘oh no, I don’t want to tell anyone’. He said not for profits needed to learn how to tell the right story to the right people at the right time. “A lot of people just struggle with that,” Bowditch said. “I think if I was going to make a sweeping generalisation, the majority of not-for-profit businesses in Australia aren’t getting the maximum out of what they could be doing, online, digitally and on social media. In particular Bowditch offered three tips to help not for profits stand out. “There is a lot of content out there. Everyone has become a publisher, everyone is an author, everyone is an expert, everyone is a journalist,” he said. “So my three biggest tips I guess would be to utilise video as much as you can. Humans are simple things and we like imagery, we like looking at pretty pictures and we like watching videos. That’s the first thing. “The second thing is go fishing where the fish are. I think that is a simple kind of marketing ideology that works for not for profit as well as profit. If the majority of people who are likely to support your story or engage with your foundation are on Twitter then that’s where you should spend the majority of your time, or YouTube of Facebook or whatever. He said he was excited to take part in the free event in Sydney, which was created and organised by Hancock Creative and builds on the inaugural Change the World Perth event in 2016. “I was part of the inaugural Change the World in Perth, so when I heard Hancock Creative were bringing the event to Sydney I was so keen to be part of it,” he said. Bowditch will be joined by The Entourage founder and CEO Jack Delosa and Rebecca Chua from social enterprise Thankyou, who will also share their online marketing secrets. Director of Hancock Creative, Alecia Hancock, said it was the “perfect event for people who want to make a real difference in the world or their communities”. “We encourage managers, fundraising, and volunteer specialists for not for profits and charities to attend, as well as entrepreneurs and forward-thinking businesses and corporates who want to learn new ways they can make a difference,” Hancock said. Chua said she would be talking about evolving marketing trends and instinctual marketing. “It’s an honour to share the Thankyou journey, ups and downs and most importantly, lessons we’ve picked up along the way (and are still learning), with people making amazing change in the word,” Chua said. Delosa said he would be addressing how not for profits can unite their teams to drive their vision forward. “Those who are able to achieve great things have developed the ability to touch the hearts and minds of people around them,” Delosa said. Change the World will take place at the Chauvel Cinema in Paddington in Sydney on 9 May. UPDATE: Change the World was previously meant to be held at the Entourage Development Centre but due to a high level of interest, it will now take place at the Chauvel Cinema in Paddington.